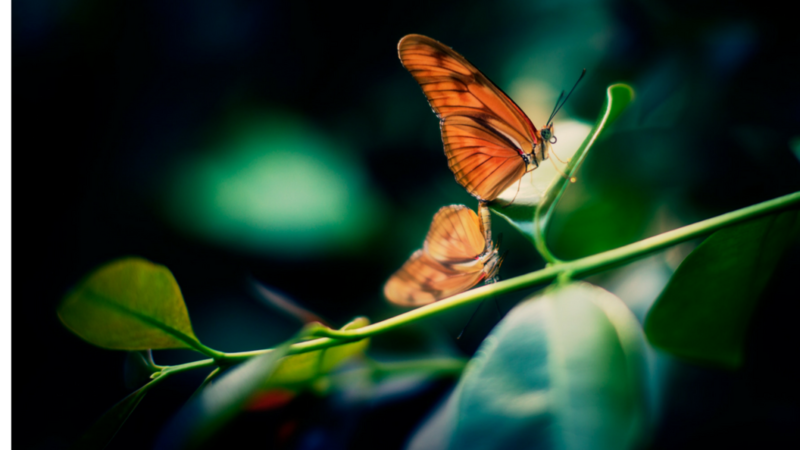 It’s time to break free from your cocoon and emerge as that beautiful butterfly! It’s time to spread your wings and fly! There’s only one more week to pre-order your copy and get in on the special bonuses! Don’t wait to grab hold of God’s promises and run toward the finish line of your destiny—holding firmly to the vision He’s given you as a map. Wake up to a God-inspired vision! Can you hear what God is saying to you about your potential? What is the Holy Spirit whispering to your spirit about what more He believes you’re capable of? in the YouVersion Bible app to learn more! Nothing good happens by you never leaving the incubator. Learn how you can wake up to God at work in you by tapping into your capacity to dream—to envision a tomorrow that looks nothing like today. Learn to shape your future by the power of faith. Have faith that whatever your vision—that hope you’ve imagined for your life—of what you could do or contribute or one day become—has been placed there by God. Open your eyes to what God is allowing to enter your spheres of influence—open your ears to hear the needs around you in light of your gifts and abilities. What are you hearing when you press into heaven and listen for His voice? What is He laying on your heart as you look at the world around you? Who has He placed in your path? What opportunities are you not seeing because you’re not looking? Our world needs more visionaries. Sight is a function of the eyes and perceives things as they are, but vision is a function of the mind and sees things as they could be. Without vision, the soul has no hope, imagination has no outlet, and innovation has no future. Humanity is diminished as dreams fade. Keeping your dream alive is the least you can do in service of God and humanity—and that’s why you need to invest in cultivating a God-inspired vision. God gives His people vision as a spiritual GPS. God gives a person vision to provide him or her with internal direction for their life—and collectively this provides a nation direction for its citizens. Do you believe the vision for victory impressed upon Winston Churchill was of God? Do you believe the vision for an education that stirred in Malala’s heart was of God? How about the vision that a young virgin “favored of God” (see Luke 1:28 & 30) held close to her heart when circumstances became difficult? As a son or daughter of God, do you believe you are less favored than these? Vision and faith are birthed from the same womb—both give us the ability to see the future and grab hold of it in the present. This is the foundation of a transformational vision. And this is why I’ve written Hello, Tomorrow! I want to help you “write the vision and make it plain” so “he may run who reads it” (Habakkuk 2:2). In Hello, Tomorrow! you will find practical steps for writing a vision you can effectively run with. I want to give you a compass you can use to direct you toward the future you’ve dreamed of. I want to help you wake up to God at work in you—your own divine potential. Now is the time to do the work of determining the travel details of that dreamed of destination—your tomorrow!